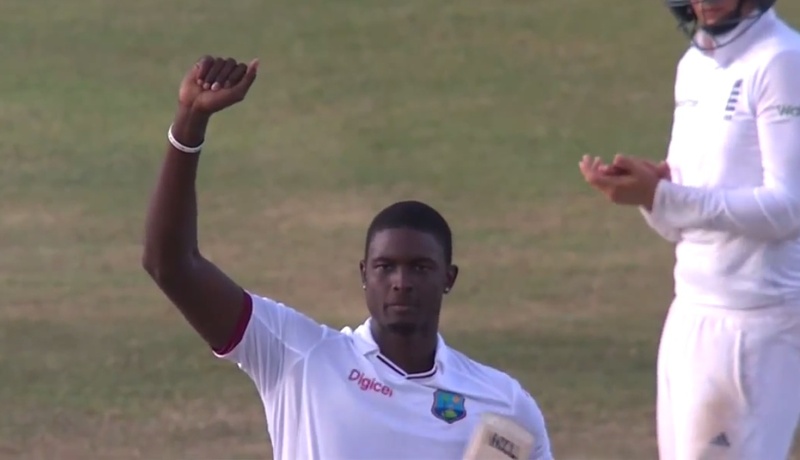 Jason Holder celebrates his maiden century in Antigua. The West Indies are finished, don’t you know? They’re in irrevocable decline. Cricket in the Caribbean is dead. Fortunately, no one seems to have told Jason Holder and Jermaine Blackwood.